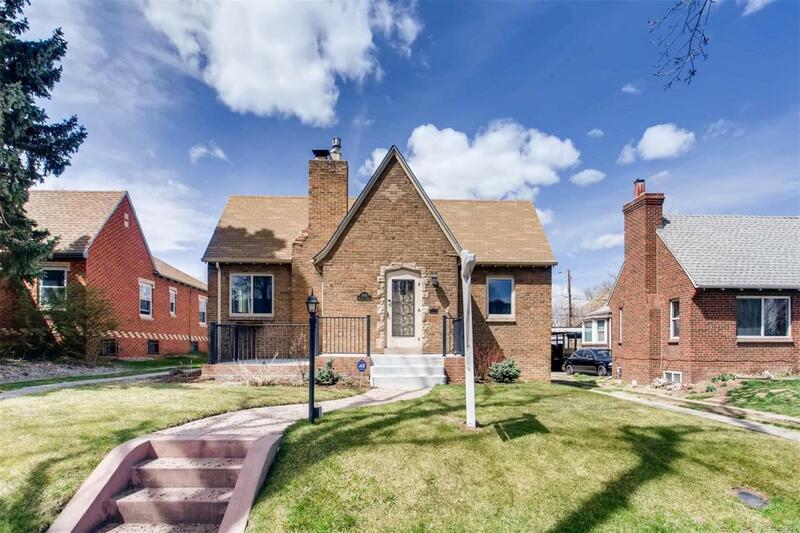 Charming 4 bed/2 bath Brick Tudor on quiet block in Park Hill. Character at every turn with spacious living spaces, brick fireplace, arched doorways, crown molding, Solar power, and an inviting breakfast nook. 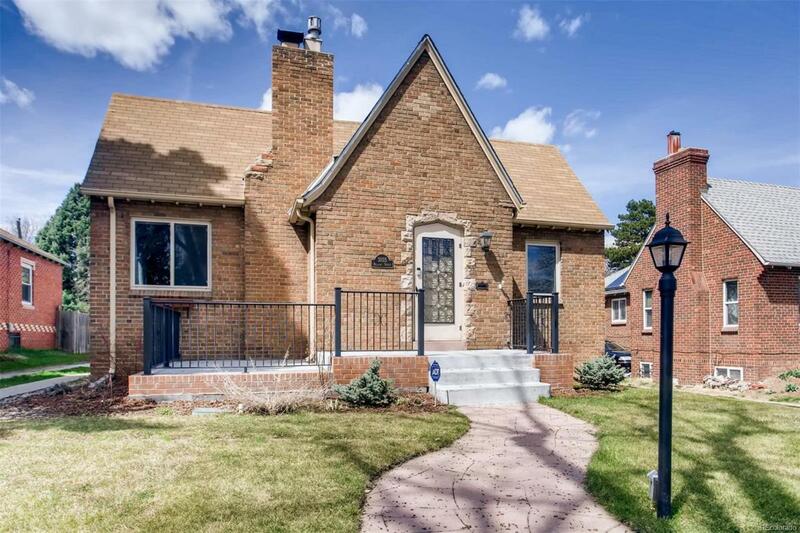 Features newer windows, gas operated fireplaces, new appliances, repaved driveway, and solar power. Finished basement is sizable at 1,283 feet with two bedrooms, office space, spacious Laundry room, bathroom, and plenty of storage. Delightful fenced backyard with stamped patios, gardening space, a pergola, and plenty of space for entertaining or play. Large front reconditioned patio perfect for relaxing and enjoying the morning sun. 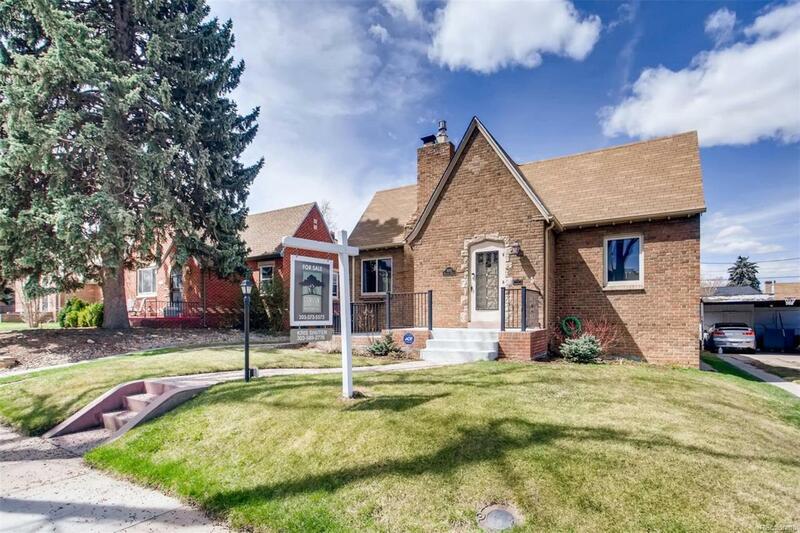 Great location in close proximity to Parks, Denver Zoo, Museums, and downtown. Coveted 2 car garage accessed from the front. 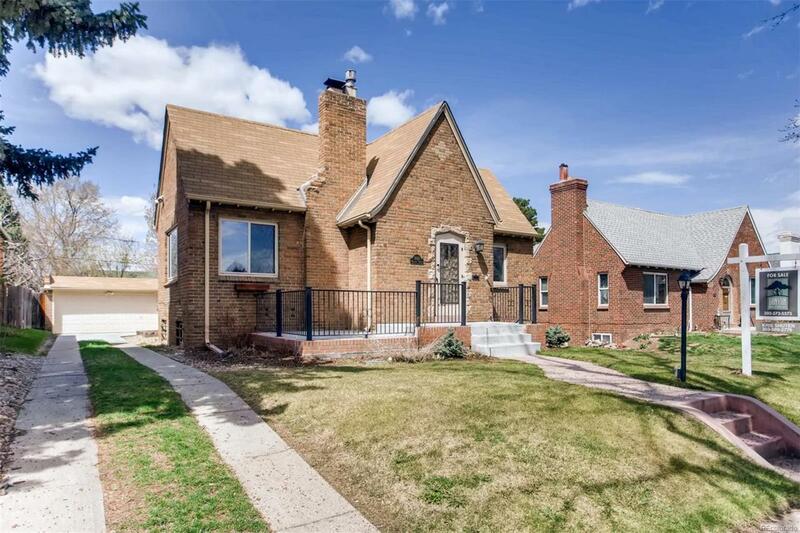 Easy access to I-70, Colorado Blvd and light rail. See SOLAR Lease in Supplements.